William Tharpe Roberts is a U.S. Military Veteran based out of Fort Lauderdale, Florida. Mr. Roberts worked as a Marine Science Technician and as a member of the U.S Coastguard for 13 years. William specialized in the areas of Pollution Response and Law Enforcement and received an Honorable Discharge. During his enlistment, William was responsible for activities including but certainly not limited to overseeing extensive marine projects as well as disaster response. Most notably, William was a member of the team sent to respond to the Deepwater Horizon oil rig disaster in 2010, one of the largest marine oil spills in the history of the petroleum industry. Being raised in Fort Lauderdale, Florida meant that as a young boy I had always been surrounded and enamored by the beautiful blue abyss that is water. For this reason, one of my greatest passions is swimming. When the weather is not as cooperating, I’ll swim at a local public pool by my home, but when the Florida weather truly shines down on me, I love making my way to the beach and taking a quick jaunt in the ocean. For as long as I can remember, the water has always been where I have felt most comfortable. Whether I was swimming, sailing, or simply dipping my feet in its magnificent blue shimmer. Growing up in a coastal city had a lot to do with my attraction to the ocean and many of my fondest memories are those of my family and I hanging out at the beach on a hot summer’s day. To me the water represents a beautiful combination of wonder, calm, and tranquility. That being said, I have an immense appreciation and respect for the strength and power of the ocean. I have seen it tear boats in half and shape the land on which we stand. What is your favorite thing about your hobby? I think my favorite part about swimming is the fact that I can have so much fun and so much freedom while also training my body and keeping my heart and mind sharp. Swimming is one of the most physically exhausting things, yet when you’re floating in the water your body feels almost weightless. The aches and the pains go away and it’s just you and the water. How would you say your hobby has changed your life? Well, what started as a hobby of swimming greatly influenced what I ended up spending 13 years of my life doing. As a Marine tech for the US coastguard I spent months at a time on the water saving lives and making a real difference for my country. My passion for the water lead to my drive and determination to preserve it and keep it safe. I also love to go for bike rides. Physical activity like biking and swimming are great for your mental health and are the two main ways that I like to stay in shape. A general contractor and entrepreneur by day and a singer by night, Sandro Carbone has been interested in music for as long as he can remember. He first joined an experimental metal band with his brother and a friend after high school. A couple years after they disbanded, he joined his current band which plays a mix of blues and rock, with inspiration from and an infusion of a variety of other music genres. When Sandro Carbone is not at work or off jamming with his band in a friend’s apartment, he’s spending all the time he can with his wife and three-year-old son. I sing in a garage band with my friends. We play blues and rock music. I always took interest in artists’ voices. I can hear different pitches in a person’s voice and tell if someone is singing on or off key. I’m also always singing in my head. My brother and I also shared a desire to make music. We rented a studio one day with a friend of ours and it’s just grown from there. You have five people from completely different walks of life coming together to make music. We improvise all of the time so every second of music is new. We connect in a way that we can set up anywhere, any time and a song will come right out of us. Whenever we complete a song, we are just beside ourselves and completely elated because it came from us, came from our souls. What is your favourite thing about your hobby? Being able to create something from nothing and performing for people. We get together at my friend’s apartment to play, and since my friend is a socialite, he always has people coming in and out of his place. Even if it’s only six people, I love performing for them. Have you ever performed in front of an audience elsewhere? I did a stand-in for my cousin’s band in Sicily, Italy. He was playing a small festival along the beach of about 200 people and I sang two songs. It was amazing. Through this band I’ve made lifelong friends. Even if we disband years from now, I know we’ll stay friends for life. Are there any groups you’re a part of that you attend related to your hobby? My band and I like to attend concerts or live performances to get inspiration. In what other ways do you or your band find inspiration? We send each other new music whenever we find something different and interesting. Also, before each session, we all listen to different types of music to get inspired throughout the week. Then when we get together, we create a mix of different sounds to keep our music original. Sometimes I’ll sing a bluesy tone over a Latino style music, yet we can make it work together. Were you always a fan of Blues music? Not always. It came later in life. I liked it enough before I joined my band, but it was the band that truly made me appreciate this style of music. It’s not hard but finding success as a musician or singer has a lot to do with luck. As long as you’re passionate about it, you are already halfway there. Just keep your eyes open for any unexpected opportunities that come your way. And if you miss an opportunity, it’s okay, because that urge to play music never dies. You can just go about your life while waiting for the opportunity to come up again. My other hobbies are whatever my three-year-old son’s hobbies are. If he likes trains and monster trucks, I like trains and monster trucks. Ryan Phillips is the Owner of Ty Ty Nursery in Ty Ty, Georgia. Since he was a young man, Ryan Philips know that he wanted to work with plants in his career; they’ve always been his passion. As a teenager, Ryan ran a landscaping business in his local community and was soon after hired at a plant nursery when he was 15. After completing high school, Ryan attended Abraham Baldwin Agriculture College in Tifton, Georgia. Looking to expand his education further, Ryan went on to attend the University of Georgia, where he became a member of Pi Alpha Xi, a horticulture honor society. During his studies, Ryan got a job at Ty Ty Nursery, a plant nursery located in Ty Ty, Georgia. Ryan has been at Ty Ty Nursery for more than 10 years now and recently purchased the business, becoming the Owner. Ryan hopes to pass Ty Ty Nursery off to his children one day. Although I spend all day working with plants, I would still consider gardening to be a hobby of mine. When I’m not at Ty Ty Nursery working with plants, I’m at home tending to the family garden. What do you love about your hobby? It’s hard to say exactly what I love so much about plants and gardening. There’s something calming about working with soil and nurturing the plants as they grow. Not only is it therapeutic just looking after these plants, but it really brightens up your yard. You can create a garden entirely unique and can plant a wide variety of bushes, trees, flowers, and more. When did you really become interested in gardening? My interest in plants and gardening really became apparent during my teen years when I was in high school. I began a landscaping business because I had a passion and a talent for yard work and gardening. It was a good first experience and I soon after found myself working at a plant nursery. This was my first real experience working at a plant nursery and I loved it so much I eventually bought one! Well, it’s essentially given me a career, which helps me provide for my family. When I’m gardening outside of work, I find it very calming as well. Days can be hectic and busy at Ty Ty Nursery and, although I love what I do, it’s nice to have my own private garden to tend to at home. Not only that, but gardening and doing yard work is something that can be done as a family or with friends. It’s a great bonding experience. What advice would you give someone looking to get into gardening? Just do it! Go and get your hands dirty and start planting. Do some research first to find out when you should be planting and what will work best for your garden and your climate conditions. You’ll need to invest in some gardening tools as well. Go and pick up a tough pair of gloves, gardening sheers, and a trowel. There’s more stuff you’ll need as your garden evolves but those things are a good start. What is a recent purchase you’ve made that’s helped with your hobby? I recently picked up a pair of knee pads. If you spend long hours out in the garden, you’re probably spending a lot of time on your knees, which can get painful. I’d recommend some knee pads to those who are serious gardeners or if you’ve got bad joints. 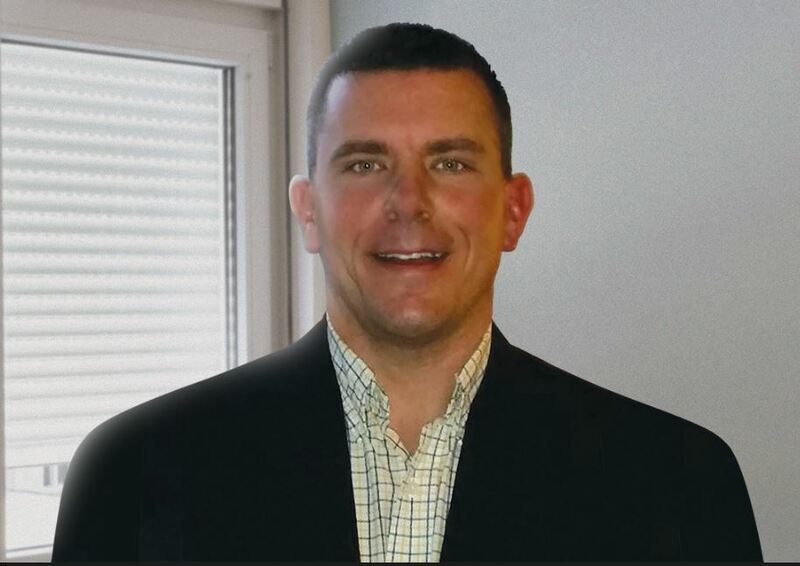 Shawn Grzybowski is an experienced logistics officer and New York native. Having attended St. Lawrence University in Canton, NY, he graduated with a double major in government and English literature. After completing his post-secondary education, he was commissioned as a logistics officer in the United States Marine Corps. He attained the rank of lieutenant colonel, and despite his initial plan to remain in service for only several years he has now completed 22 years of active duty. With his extensive military experience behind him, Shawn Grzybowski’s immediate plan is to retire to Oahu Hawaii, a place where he describes as feeling like home. My primary hobby is mountain biking as I enjoy navigating various types of terrain. It requires a certain skill level and the trails present a significant challenge both mentally and physically. Mountain biking differs from other sports as it requires an extensive amount of commitment and superior dedication. From purchasing the appropriate gear to understanding proper safety techniques, the past time is not for the faint of heart. My buddy Jason had bought a bike and talked constantly of his time spent on the trails. I was intrigued to say the least, so, when I finally moved to Southern California, I decided to purchase a bike and give it a try. It is not as easy as you think it is (I learned this the hard way). There is much skill and knowledge required to become proficient without the risk of injury. Mountain biking also comes with countless physical benefits, and I am someone who strives to remain active on a daily basis. The exercise is rigorous, but the cardiovascular workout strengthens your immunity and has many long-term health advantages. I have seen a significant improvement in my overall balance and coordination, and because biking is not a weight-bearing sport, there is less risk of a joint injury. Ultimately, cycling is an extremely dynamic exercise and I hit the trails whenever I find the extra time. Mountain biking is an adventurous sport and requires a sense of exploration and risk-taking, I get a major adrenaline rush every time I complete a trail for the first time. By the time I finish a course, I am left feeling both renewed and accomplished. I recommend mountain biking to anyone who loves the great outdoors and is not afraid of a little danger. It gives me something to look forward to on the weekends or with any free time I may have. I have a deeper sense of gratitude for the natural world, and a different perspective on life. Once you develop your skills, cycling can be highly meditative. I am constantly pushing personal boundaries and looking forward to new challenges. The sport has strengthened my belief that anything worth doing is most likely challenging and you should never give up. 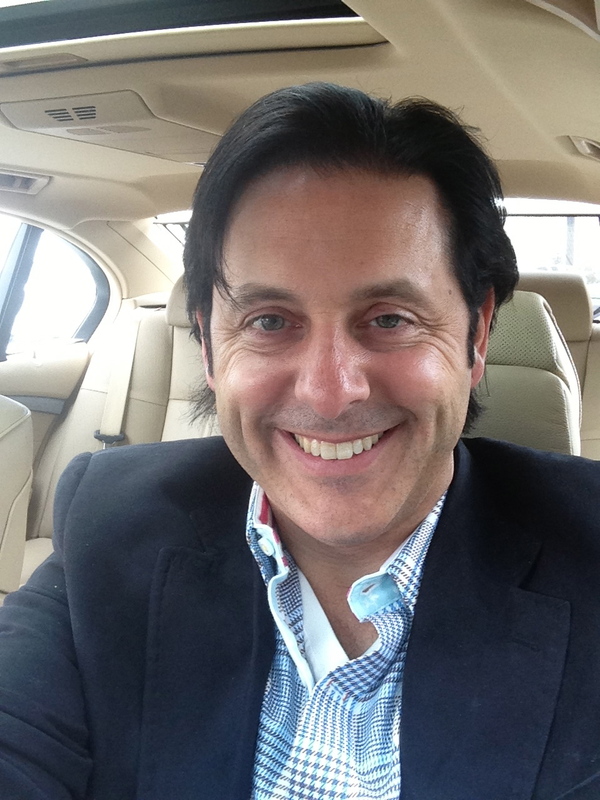 Eric Dalius is a marketing professional and entrepreneur who has successfully generated over $100 million since the start of his career in 1990. Through a number of profitable business ventures and smart investments, Eric has become a worldwide leader in the field of marketing. After working at a telecommunications company early on in his career and becoming the top salesman in the nation, Eric decided to bet on himself and start his own business. One business led to another and Eric quickly became an unstoppable force in the world of marketing. Currently in a state of semi-retirement, Eric Dalius has decided to focus his efforts on helping those in need by starting the Eric J. Dalius Foundation. Through this charitable venture, Eric aims to help under-privileged youth in America attend post-secondary education. Anything to do with cars. I have quite a collection now. I’m a real gear-head. Well, I’ve been very fortunate in my business ventures with the amount of success I’ve had. I’ve always had an interest in cars but obviously I couldn’t afford the ones that I really wanted until I became successful. What do you love about cars? It’s hard to describe really. I guess there’s always a boyish wonder when it comes to stuff that goes fast and looks shiny. Figuring out what all the buttons inside do. Feeling the difference in the handling and the throttle response. Every car feels different and has its own personality and it’s not hard to really make a connection with a car. I’d say I’m a lot happier. I know that material possessions aren’t supposed to be the key to happiness, and I agree with that, but I really love my cars and they make me happy. It’s a great amount of fun taking cars to the track for a few laps or going to car shows to talk about cars with other people that feel the same way as me. What’s your favorite car at the moment? I always love my Lambos. There’s something special about Lambos that’s hard to put your finger on. Everything about them is just kind of bonkers in the best possible way. That’s what Lambos are about, I think. Just absolute insanity in a devastatingly beautiful package. What car do you want but not have? Honestly, I’d have to say a Bugatti Veyron. The speed that those cars can reach is really unbelievable. I’d never be able to actually reach the car’s top speed, but it would still be a cool feeling to own one of the fastest production cars in the world. 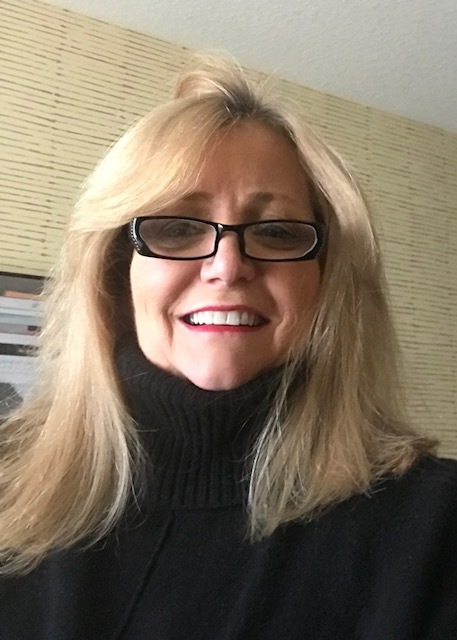 Loretta Gallagher is the President and owner of Gallagher Associates, LLC an IT firm located in Wayne, New Jersey that works primarily with healthcare organizations all over the United States implementing electronic medical records. Loretta started her IT firm just over 25 years ago when the wave of technology was just picking up both professionally and personally. Most people were just getting computers in their homes 25-30 years ago, and internet was still dial up, and AOL was widely used for personal email and internet browsing. How quickly times have changed. Gallagher Associates, LLC has transformed as the industry has transformed in the past few decades. Loretta and her team of associates work closely with hospital systems to ensure these large scale projects stay on time and stay within budget. Working with health care organizations that are open 24 hours a day, seven days a week, 365 days a year can be stressful. Therefore finding time or she says “making time” to decompress and do something enjoyable is important. Keeping the balance between home, family, friends, and work is key to continued sustainable long-term success. Loretta Gallagher has been married almost 30 years, raised three daughters while running her business; making time to disconnect from work and decompress doing something she loves helps her keep this balance. Loretta finds cooking with and for family and friends an enjoyable and rewarding hobby. She also loves some down time disconnecting at the beach. Not really sure how I got started with cooking. My mom always cooked, but I do not think she would say it was a hobby or relaxing to her. My grandmother when I was very young would often gather the family on summer weekends for barbeques and good meals. Again I do not recall cooking with my grandmother, but always remember what fun it was to have everyone together and looked forward to those weekend meals with them. Loretta loves the togetherness of working in the kitchen with her family and friends, learning other people’s favorites, and making new traditions. Her family has created a few new holiday weekend traditions to share with family and friends. 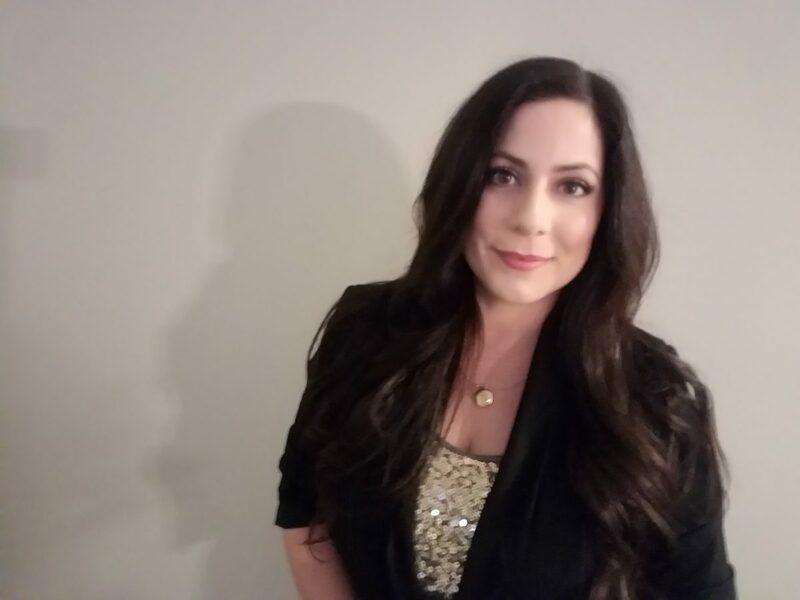 She has an annual Mardi Gras party in New England where she hosts 30-40 friends. They fly in crawfish from Louisiana, make the largest pot of Jambalaya; using a recipe from a dear friend who taught Loretta his family recipe. Loretta Gallagher explains another traditional event is the annual Friendsgiving. She explains as we all see our families during the holidays, making time for friends is essential too. Friendsgiving is a fall event to gather with friends for great food, good wine, and lots of laughs. Loretta Gallagher explains how she has always loved being in the kitchen, but when her daughters came along it was something they loved doing with her. From the youngest of ages; her girls would pull a step stool over to the kitchen counter regularly. By the time they were three or four years old all three would help with preparation. Loretta explains it was fun quality time we would spend together. It is time they look forward to as much as I do. Even with my three daughters all grown up we still take a fall weekend to make a dozen or so holiday pies and always enjoy a weekend of Christmas cookie baking. Often on vacation we will find a chef offering a cooking class and will take it. The Vermont Culinary Institute was a fun winter weekend away where we took a great cooking class. Another fun one was in Savannah Georgia at a Marriott property we stayed at; The Mansion. They had a fun interactive cooking class. Loretta laughs when asked have you had to invest in equipment? She explains she has just about every kitchen gadget one can think of. She does have some favorites, her pampered chef’s apple corer is a must for pie making, a good lemon press and you never have enough wooden spoons. Loretta has found some great buys are the William Sonoma outlet and loves her pampered chef items also. Yes, there are tons – but I do not follow recipes often. I like to read a few and then put my own spin on them. Creating my own flavors, presentations and creations are part of the fun for me. My hobby has kept both family and friend near and dear. The quality time we have all spent together either preparing a meal, or if they are not cooks and just enjoy a meal I have prepared are priceless. For anyone afraid to try things out in the kitchen, Loretta Gallagher suggests you dive in, learn to laugh, and have fun, she says. Cooking should not be stressful and the more hands the better. Whoever said “too many cooks in the kitchen spoil the broth” was doing it wrong. Find people you love and enjoy spending time with and make new traditions with them. Anything that involves sand and salt water. Whether it is a walk on the beach or boardwalk, watching the tide roll in, sitting with friends in the sand a catching up or making sand castles with the little kids. The ocean is my happy place. Juanita Causey was born in Winnipeg, Manitoba Canada. At the age of 8, her father died in an accident and she along with 7 siblings were raised with meager means with their mother having to work 2 or 3 jobs to support a family of 8 children. When Juanita was 16, she moved with her mother to Corpus Christi, Texas where her mother got a job in nursing at a major hospital. Juanita got married and had 2 children in Corpus Christi before moving to Houston where she went to work for a bank. After nearly 6 years in the banking business, she decided to start a new career as a Financial Planner/Advisor. 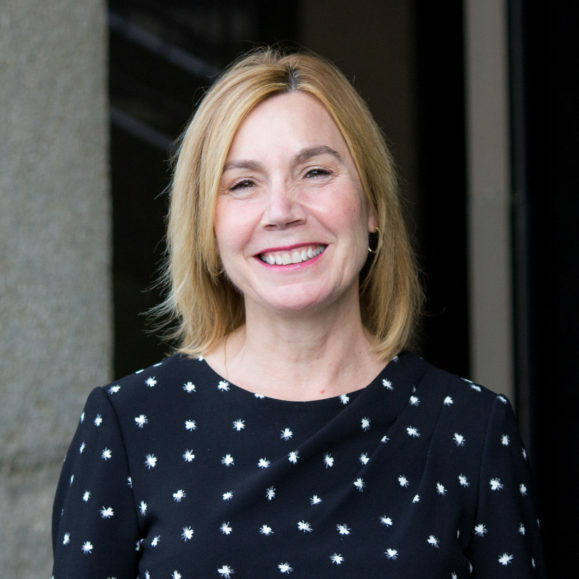 In 1994, she went to work for John Hancock Financial Group where she received training and support for the first few years of her new career. In 2000, Juanita Causey decided to start her own company “Houston Financial Center” and became a completely independent financial planner/advisor. She has grown her practice over the years and currently employs three full time and one part time employee to help her manage over 1,000 clients that she has accumulated over the past 24 plus years. Juanita has a passion for helping people secure their financial future. She learned first-hand how difficult life can be on a widow and children when a spouse dies without enough life insurance to keep the family in their own world. It’s her passion that has helped her build a successful practice where she is ranked among the top 2% of all Insurance & Financial Professionals worldwide as stated by the Million Dollar Roundtable where she consistently qualifies as Top of the Table. Her passion has also drawn her to constant study to be the best that she can be in her profession. For this reason, she has 7 significant professional designations, namely, CFP®, ChFC®, CLU®, AIF®, CAP®, CASL® and LUTCF which places her among very few advisors that have reached this level of professional education. Although Juanita Causey has achieved many awards and much recognition for her accomplishments, she says her greatest achievement is the close relationships that she has developed with her many clients, most of whom she considers her best friends. My favorite hobby is participating in group exercise programs at my gym. They include Zumba, Kick Boxing, Pilates, Yoga, STEP, Body Works and Power Circuit. In addition to being involved in group exercise, I like swimming, cycling and going on long walks. For about 9 years, my mother was in a nursing home with limited physical ability to get around due to a fall and a couple of strokes. In addition to working long hours in my business, I visited her almost every day and would take her on walks in her wheelchair which she enjoyed. Over time, the long hours and lack of sleep ran me down to the point of exhaustion. After she passed away, I decided to start taking better care of myself and used the extra time to start exercising, swimming, etc. I had a gym membership for many years, but before my mother passed away, I had little time to use it. I really enjoy the camaraderie that is developed in group exercise as well as the extra incentive it gives me to give it my all. It’s much more fun working hard in a group, than on your own. It also gives me a sense of pride that I am doing something that is good for me. Since I have been working out regularly, I have also done volunteer work for a non-profit group that assists with gymnastics scholarships for children with disabilities, both mental and physical, as well as children from poor families that could not otherwise afford gymnastics memberships. I have since become a board member for this non-profit foundation. Other than my gymnasium membership and workout clothes, my investment in equipment has been limited to a bicycle and a few hand weights that I sometimes use when walking. I don’t buy equipment or supplies at any particular place. The clothes and shoes are purchases at various stores in the mall. The bicycle and weights were purchased at a local sporting goods store. I have not personally read many books on exercise, but there are literally thousands of books on this subject. I have gained knowledge about the various programs from the gym and from various articles and sties on the internet, but not any one in particular. This regular exercise has made me feel better, both physically and mentally. I have more stamina, my blood pressure has gone down, my weight is controlled and I feel proud that I am able to keep up with others in my groups that are much younger than I am. I know I am healthier as a result. Start by getting a physical exam and permission from our doctor to start an exercise program. Then check out the gyms in your area and inquire about their group exercise programs. Some gyms have very few and others have many. Some charge extra fees and others do not, so take your time and shop for a good gym that is convenient to your home or work so you will have time to go. Then try it out before you make a long term commitment or spend too much money on clothes, shoes, gym memberships, etc. Another hobby is spending time with my grandchildren, taking them to parks, the zoo, museums and places that children like. I love to do kid stuff with them. I often keep them overnight to give their parents a break. I have accumulated a lot of kid stuff at my home so we can play together when they stay over. A third hobby that I enjoy is traveling with my husband. He is a renowned scientist and visits many parts of the world giving lectures and presentations. By joining him, I have had the opportunity to visit many cities around the world which are too numerous to list at this time. While he is working, I use my time to walk many miles around the cities, vising points of interest and learning about the various cultures. I feel that this has given me a vast amount of knowledge, wisdom and understanding that most people are never able to attain.